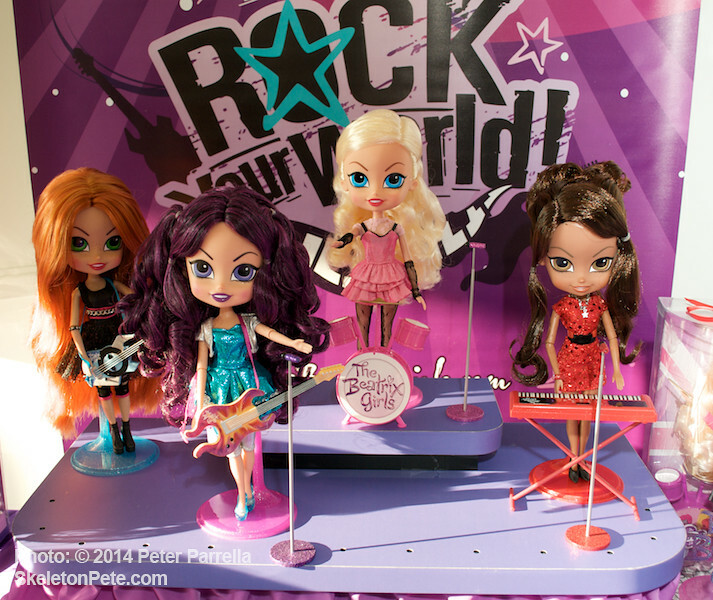 When I was growing up, the message I heard over and over again (and hear all too often, even now) was, “Girls can’t rock!” It was all too clear. 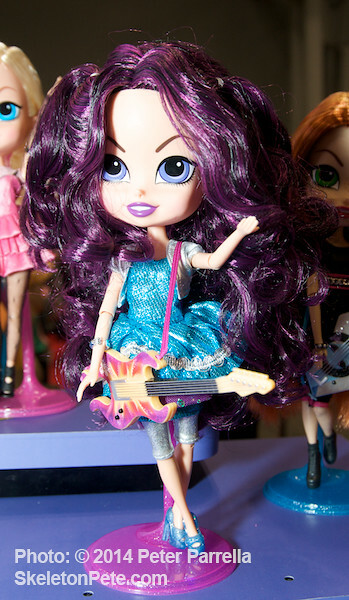 It was OK for boys to be bass players, drummers, lead guitarists and frontmen, but my aspirations to become the next Ann Wilson, Stevie Nicks, Joan Jett, or Freddie Mercury were frowned upon. 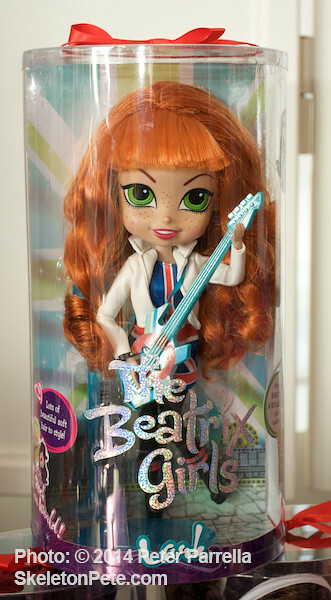 After all, you can’t play rock and roll and still be a lady, right? 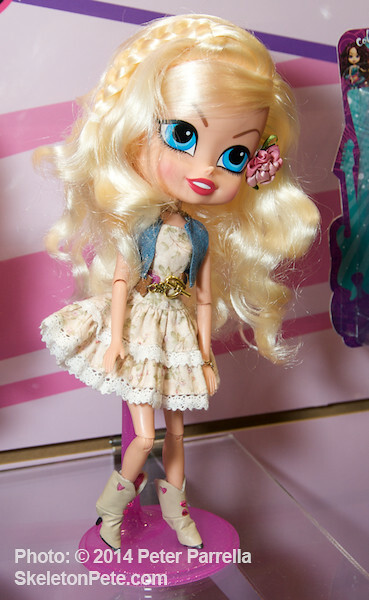 Wrong… so very wrong. Ultimately, it didn’t stop me from joining a band when I was in college (playing with both male and female musicians), but I wonder how much sooner I might have pursued my dreams had I been encouraged, rather than completely disregarded. 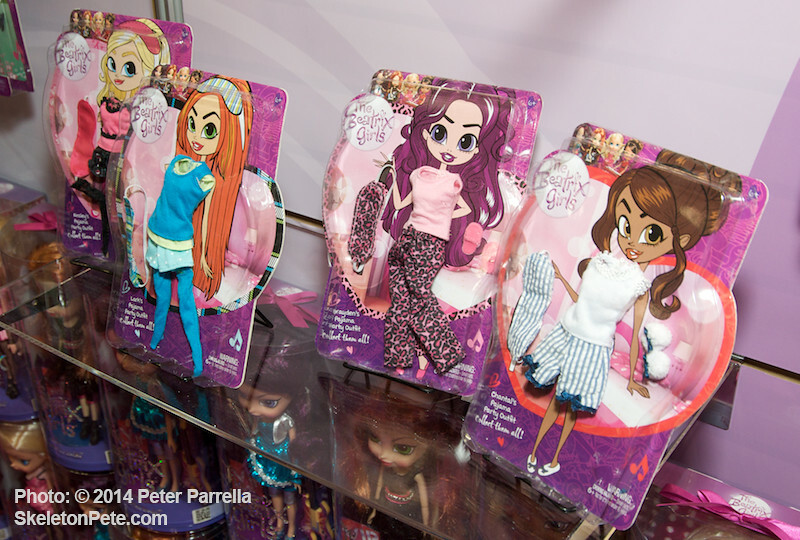 Media executive and cartoon veteran Sherry Gunther Shugerman (Simpsons, Family Guy) must have wondered the same thing when she came up with The Beatrix Girls. 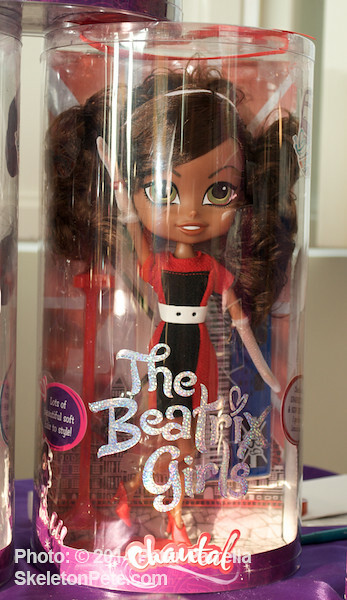 The Beatrix Girls are 12 inch fashion dolls, with brightly colored hair and cool outfits. 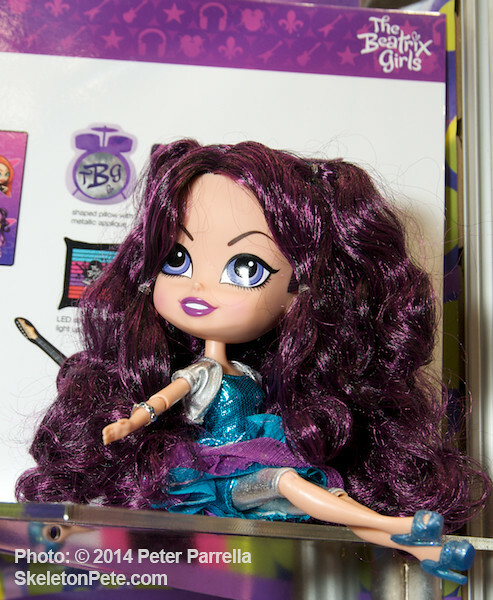 These adorable dolls are definitely made to appeal to young children, and while still feminine, they’re not too adult (suitable for ages 5 and up). 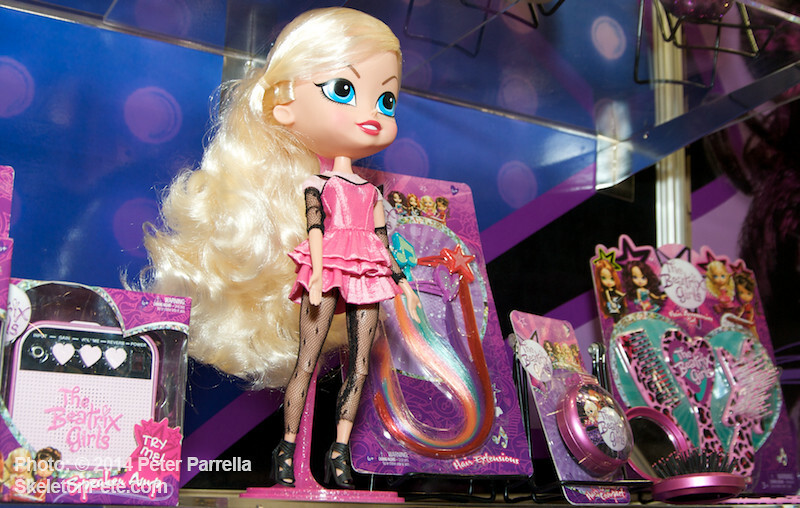 What sets this line apart is the fact that it is driven by original music (featuring the writing talents of some of today’s top pop stars), which kids can collect. 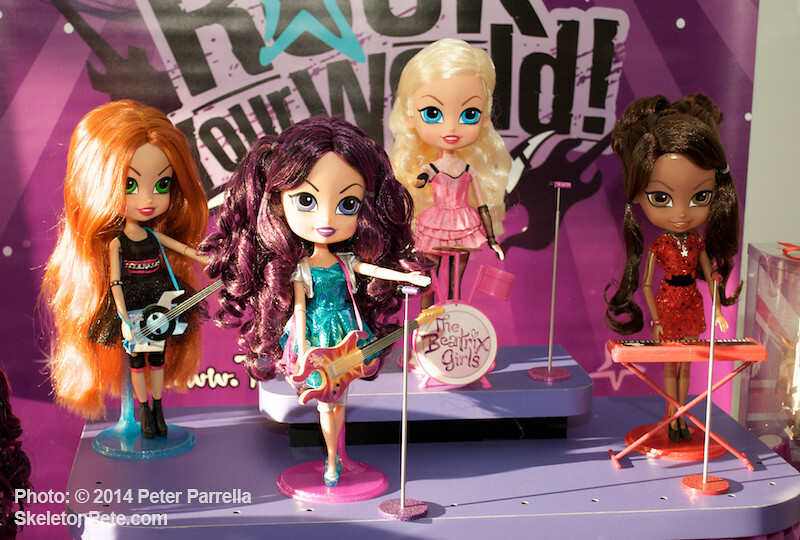 Each doll is a member of a rock band. 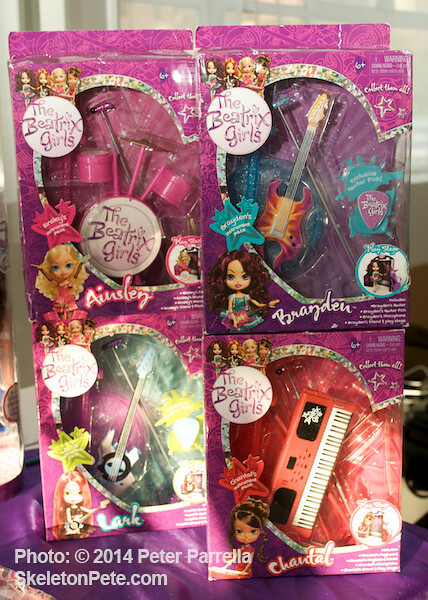 The Beatrix Girls band members are Brayden (Guitar), Ainsley (Drums), Lark (Bass) and Chantal (Keys). 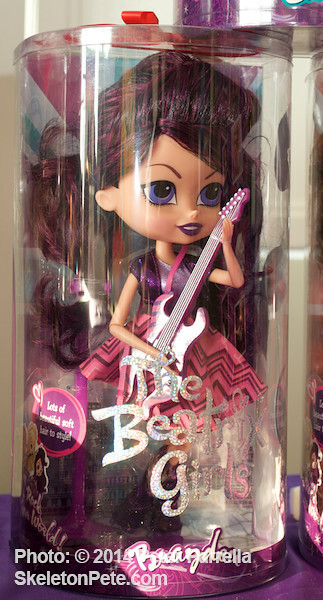 Each Beatrix Girl has a unique personality and look, as befitting a budding rock star. 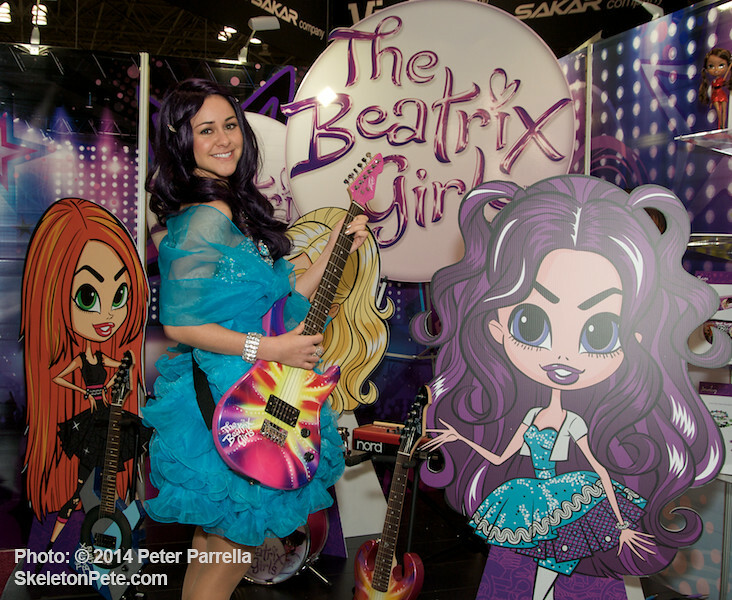 The Beatrix Girls even have their own fan club and webisodes. 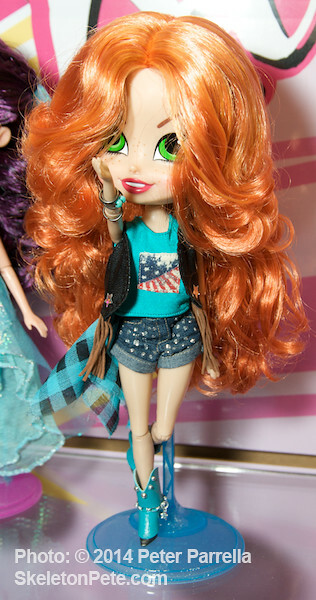 The idea behind The Beatrix Girls line is to empower young girls to be so much more than just pretty faces. 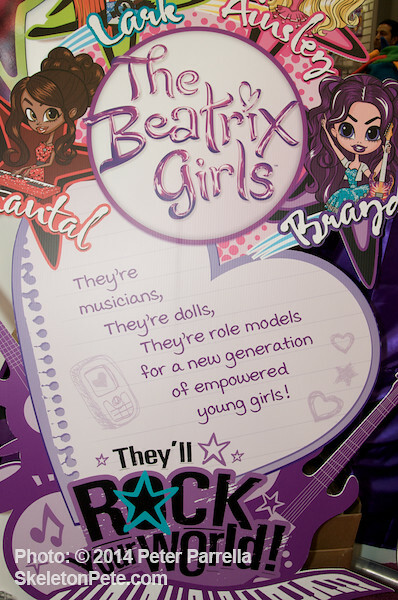 Though fashion-conscious, The Beatrix Girls were created to encourage girls to discover the joy of music and to inspire them to create their own as well. 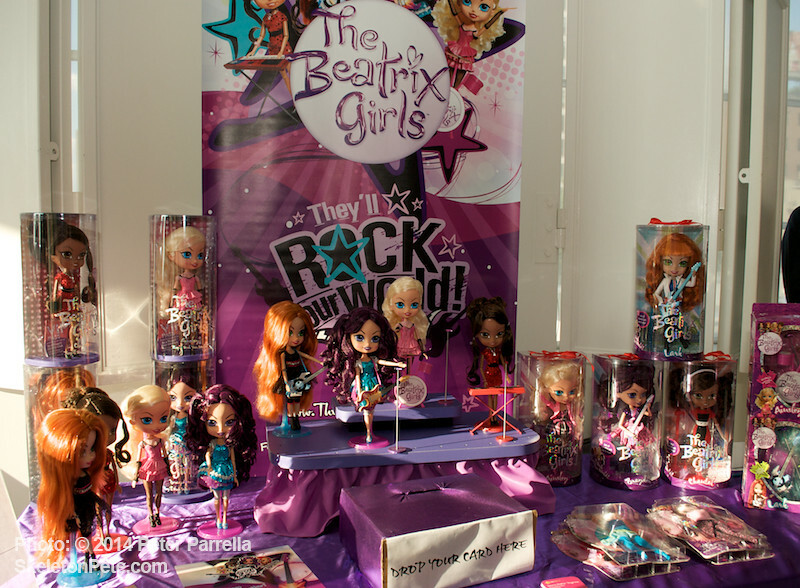 Through friendship, collaboration, hard work and determination, The Beatrix Girls gig, work and play together. Pretty ideal if you ask me. 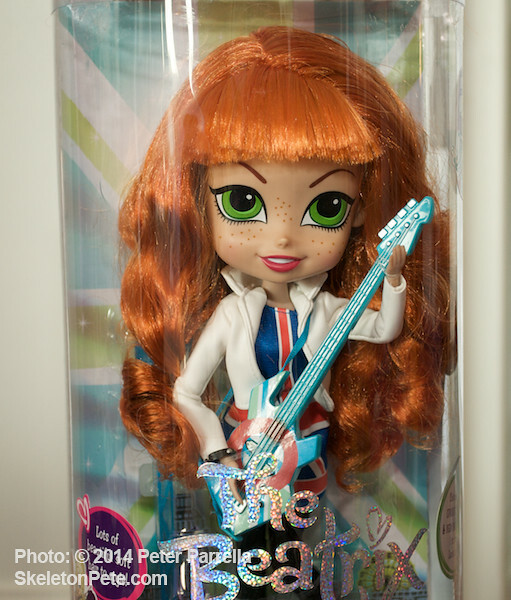 As if that weren’t enough, the line has partnered with Peavey Electronics to create a customized Peavey-branded guitar geared toward smaller frames (reminiscent of the Daisy Rock line of guitars). 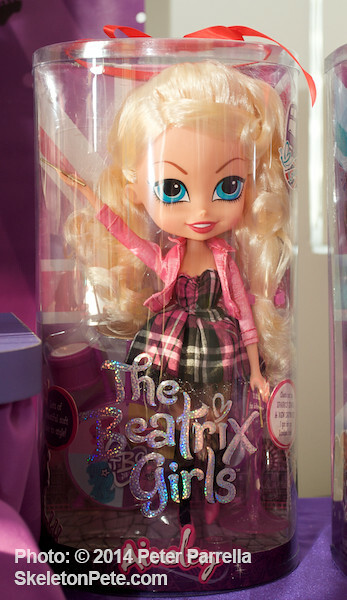 The Beatrix Girls collection initially hit stores in the Fall of 2013. 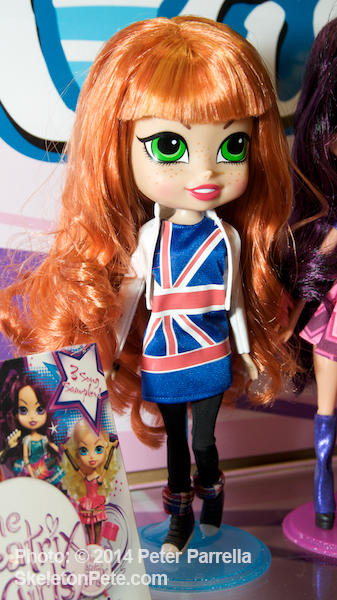 This Fall 2014, we’ll be seeing The Beatrix Girls London Collection, inspired by the British subculture Mod Movement of the 1960s. I love this concept and hope to see more variety as the line continues to grow. 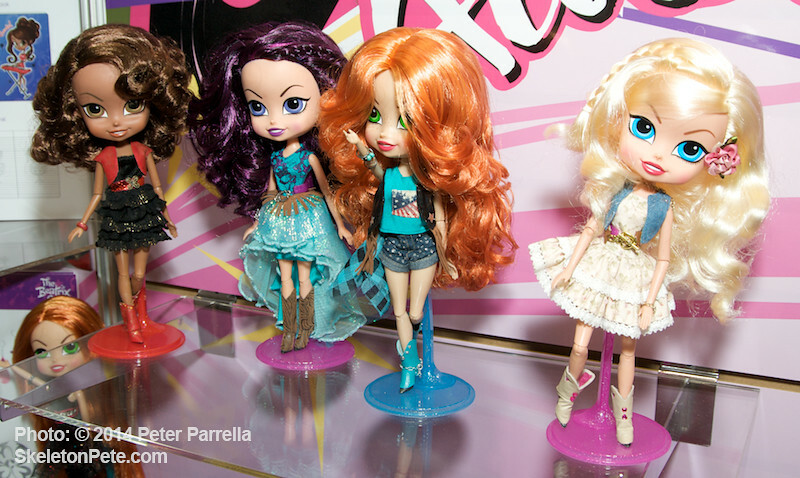 I can only imagine, since the girls have their own webisodes, soon they’ll be starring in their own cartoon. 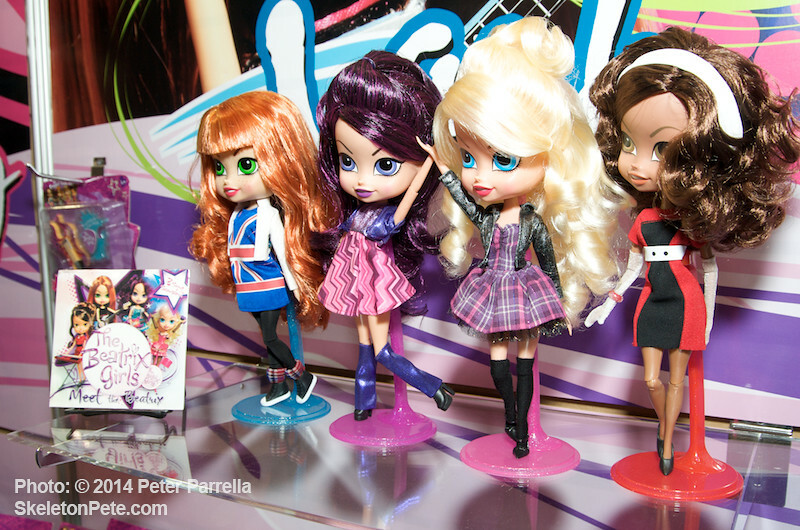 If you liked Jem and The Holograms, or Josie and The Pussycats, why not The Adventures of the Beatrix Girls? 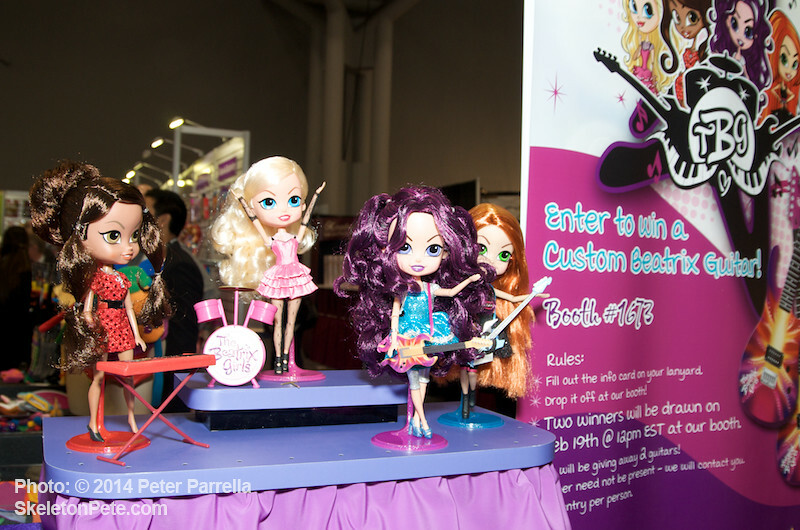 I truly enjoyed getting a closer look at these beauties, and others, at my first Blogger Bash, SweetSuite 2014 Toy Event in NYC last week. 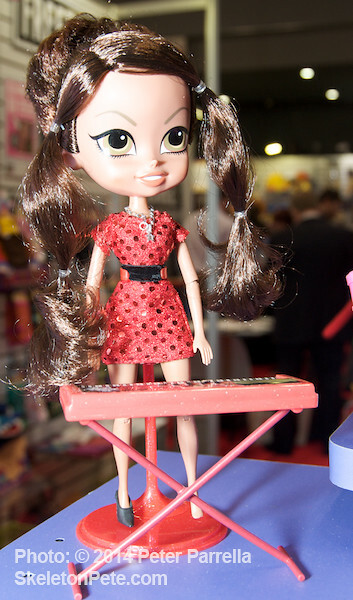 Thanks to The Big Toy Book and SkeletonPete for inviting me to the event. Hopefully, it won’t be my last. 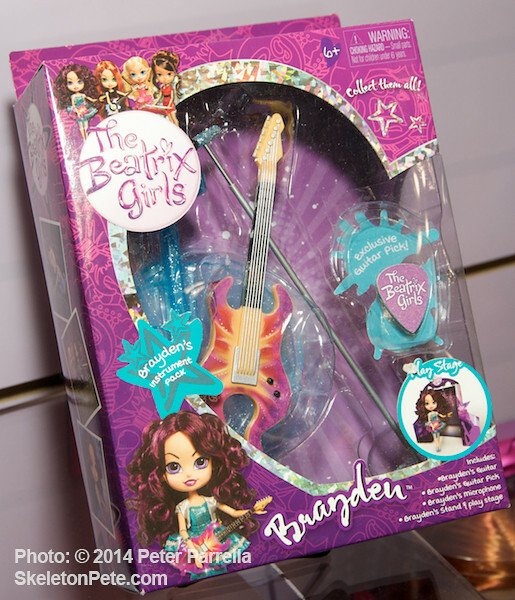 The Beatrix Girls are available at Toys R Us and Amazon.com and their songs can be found on Pandora, iTunes and Spotify.